We are looking at taking on a rescue dog (medium size). She is very good but when we have tried to groom or bath her she snarls, growls etc. The only way we feel safe is by putting a muzzle on her. Will it be possible to change her behaviour and what are the chances of success? In all other ways she seems a great dog. It is very difficult taking on a rescue dog as you don’t know the background. This dog probably has had a bad experience when being bathed and groomed. 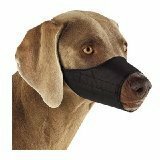 It is better to use a muzzle in the beginning so that you can’t get hurt and the dog will learn that it is okay to be groomed. 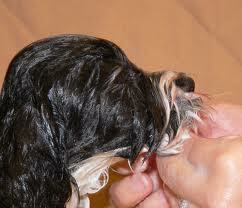 Give lots of treats before putting on the muzzle and also during the grooming. Take it very slowly and only do a few minutes of grooming in the beginning and talk quietly and calmly and reward as much as possible. This will take a REALLY LONG TIME and PATIENCE. I can’t say for sure whether the dog will ever calm down completely during the process, but you just need to make it as nice a possible.